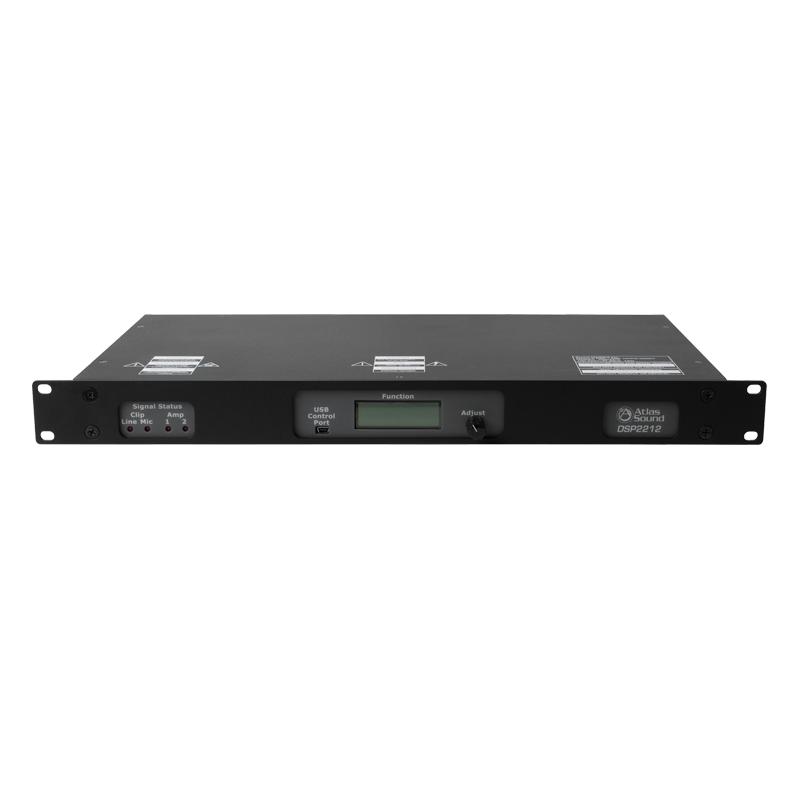 The AtlasIED DSP2210/DSP2212 digital processor "Privacy" system is a self contained, compact multi-zone digital DSP-GUI controlled processor and digital amplifier capable of simultaneous distribution of masking, paging, and background music signals for use in Industrial, Institutional, Commercial and Government facilities. 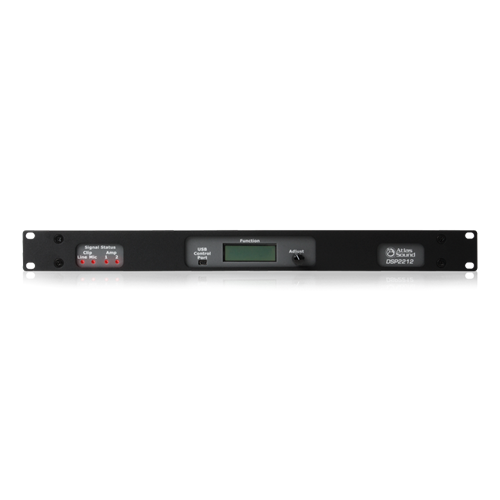 The AtlasIED DSP2210/DSP2212 is capable of automatic mixing, set up and administration of all inputs/outputs per zone (channel). 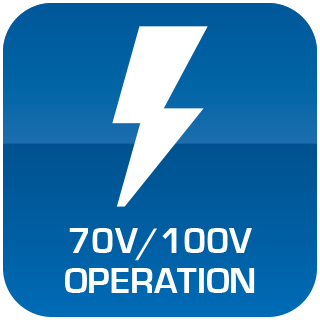 This is accomplished via an intuitive ‘simple to use' Graphic User Interface (GUI) managed via a local laptop or desktop computer that is running Microsoft® Windows®. 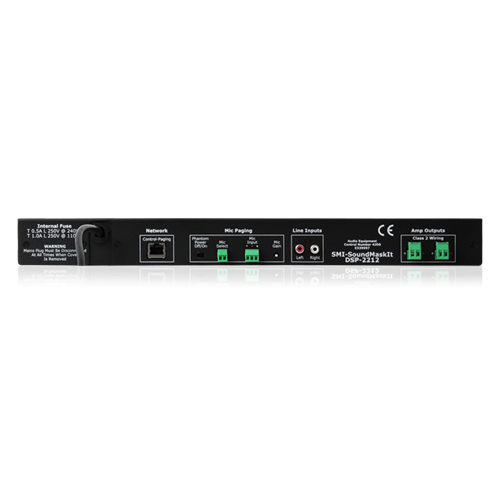 It provides up to x2 channels of independent on-board digital Class-D amplifiers rated at 25W RMS at 70V. It has a pink noise generator which is random and non-repeating up to (215) hours with EQ adjustments programmable on a per zone basis. 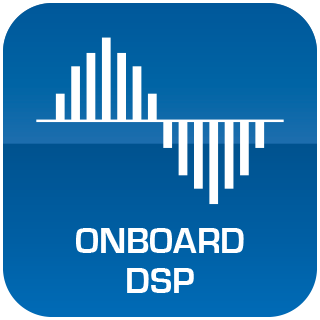 The DSP's provide dynamic control with independent 1⁄3 Octave (28) band EQ *(Filter type is Butterworth @ 19dB and Linkwitz-Riley at 24dB) and Parametric EQ 8-band for calibration of all PA and masking signals on a per zone basis. Paging (PA) levels are adjustable in 0.5dB increments per zone on Line Level (Music) and Microphone paging inputs. It provides the ability to set up "All Zone" and "Group zone" pages through the GUI.